A comprehensive staff scheduling and overtime management platform. Emergency services organizations often have distinct scheduling patterns or rotations. Creating staff rosters can take administrators hours to complete – but first responder staffing doesn’t have to be time-consuming or complicated. 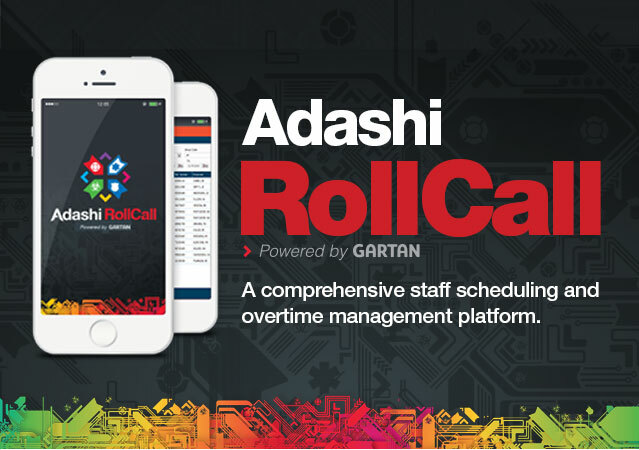 Adashi RollCall is a one-of-a-kind public safety scheduling software designed to help administrators minimize labor costs, ensure compliance with union rules, save time, and increase efficiency. Adashi’s first responder staffing software is an enterprise-level solution designed specifically for firefighters, police officers, EMS, and others in the public safety industry. 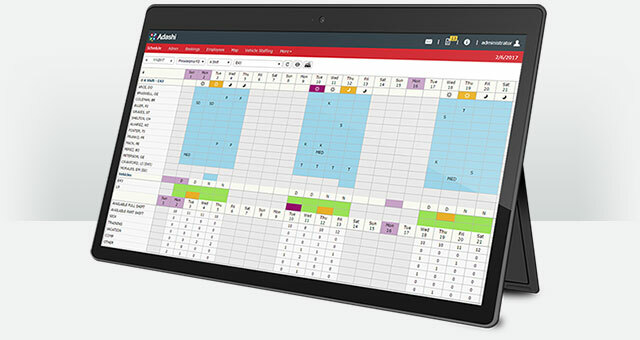 Our scheduling software integrates with Adashi’s other products to provide an end-to-end experience for our users. From even before an emergency starts, your public safety agency will have the right crew on duty to handle any incident. Adashi offers mobile applications to make first responder staffing accessible and convenient for everyone involved. Instead of going into your station to check your schedule or request time off, emergency responders can see their rotation and make changes right from their smartphones. receive messages from commanders and more. 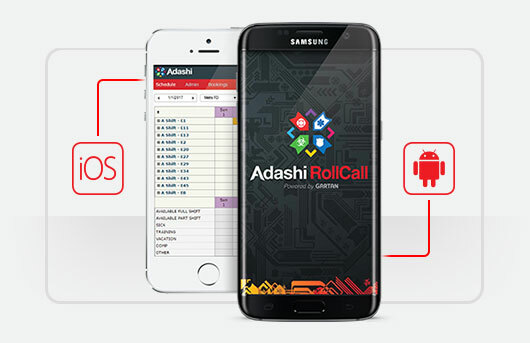 The Adashi RollCall app can be downloaded directly from the Android and iPhone app stores. Want to see RollCall in action? Contact us to set up your free WebEx demo. Adashi RollCall is an all-inclusive cloud based application that will work with any modern web browser or device — iOS and Android. No hidden costs, no hardware to buy and maintain. All leave, absences and shift changes are monitored and any shortfall is automatically flagged. Assign replacements automatically based on your rules. Absence is recorded together with the specific reason, showing any long term patterns. Manage multiple rosters from anywhere on virtually any device. Simply sign into your account and go. You can control both planned and unplanned overtime and can include differential pay rates, such as weekend or public holiday rates. Receive warning if you are about to breach your overtime limits. Create schedules based on demand and employee preferences, reduce overstaffing and improve productivity. Built in Activity and Payroll report can be exported into text, Excel and PDF formats. Exports include employee information, activity codes and hours, accrual balances, and more, eliminating redundant data entry and improving accuracy. Allows employees choice of vacations based on seniority or other established parameters while taking into consideration targeted staffing levels and department policies. Notify employees of open shift and overtime availability via push notifications on iOS and Android apps or text messages. Phone based notification is available as an option. Built in communication tools allow you to contact all employees or groups of employees. Audit trail built in for record keeping. Automatic and on demand transfer of of roster data eliminating redundant data entry and ensuring accuracy. Automatic transfer of roster data and qualifications to Adashi MDT and Command and Control software for accountability. Adashi Roll Call will interface seamlessly with your existing payroll system. Want to learn more about how Adashi can help your organization?